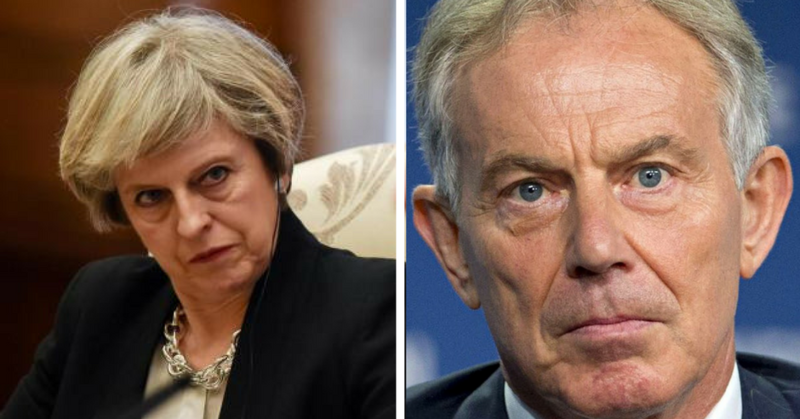 The former Prime Minister, Tony Blair (much criticised on these pages) has made yet another intervention in the national debate. Only this time, he seems to be making reasonable points. His statement is lengthy, but lean, and makes significant attempts at conciliation. This seemed to merit more analysis, so I have done a full reply to the points he raised. As I sit watching the debate on the Taxation (Cross-border trade) Bill on BBC Parliament, despairing at the state of that place, I fear where we are headed. So this has been a relaxing and therapeutic piece to write. This is probably about a 15 minute read. You may read Blair’s original piece here. Blair’s text is in italics, mine in bold. I fully accept the Prime Minister is putting forward the Government White Paper as a well-intentioned attempt to do Brexit whilst minimising the economic disruption to Britain. But this solution – half in/half out – won’t work, won’t end the argument and will simply mean a confused outcome in which we continue to abide by Europe’s rules whilst losing our say over them. Parliament should reject this solution decisively. There is an essential Dilemma at the heart of the Brexit debate, which has been laid bare by what we have learnt over the course of the last two years since the referendum of June 2016. The Brexiteers have a long term vision for Britain which may be heavily contested but is nonetheless a genuine new direction for the country. It involves Britain leaving Europe altogether, striking a new economic and political path and is a vision which only makes sense if we market ourselves as ‘not Europe’. My tick has not gone away since the referendum – it’s the ‘European Union’, not ‘Europe’. See this old post for my full analysis of why this is important for the tone of the debate. Otherwise, Blair is, unusually for a Remainer, being gracious and generous. I’ll expand on this later, but the rest of the Remain tribe should take note of this. At the core of the Brexit campaign, however, is the exploitation of a myth which is that we are not in charge of our country unless we leave the EU. The truth is we already have control over the major parts of British political life. Think of the top issues facing the country – the NHS, Education, Housing, Poverty, Crime. We can pass whatever laws we want. We can put our taxes up or down, cut spending or increase it, make peace or war, elect a leftist Labour Government under Corbyn or a right wing Tory Government under Rees-Mogg. Even in respect of immigration, we can do what we wish in respect of non-European immigration; and in respect of European immigration it has already been shown that we need most of those who come here to work and to study. This is a little disingenuous. Whilst there is a good point here, it isn’t a complete one. Sure, the NHS is in our remit, but if the EU were to pass divergent health regulations or introduce the potential for more market interference in it, it could do so above our heads. Similarly on crime, the European Arrest Warrant is an EU tool implemented and enforced in the UK. And sure, we can elect any shade of government we like, but they are not in full control, defer as they must in certain areas to the EU. And the immigration point, Blair highlights the key issue – non-EU immigration. Having seen several non-EU born friends attempt to navigate the UK visa system, it seems grossly unfair to discriminate so heavily against them in favour of EU citizens. Whenever a government feels under pressure on immigration, they’re the first to suffer, as the executive knows it cannot touch EU immigration and so becomes more stringent on non-EU applicants. Therefore, the Brexiteers are driven to focus on the Single Market and Customs Union because that is the one area, for perfectly sensible economic reasons, where we have chosen to pool our sovereignty and so you can plausibly say we are tied to Europe’s laws. The Single Market and Customs Union have thus been demonised as illustrating Britain’s loss of national sovereignty and they successfully pushed the May Government into announcing they would leave both before the ramifications of this decision were properly thought through. They may deny this, but there is absolutely no point in Britain leaving Europe unless it is to be more competitive outside the European Single Market. It is the only Brexit which could conceivably work. But, to be attractive in those circumstances, business needs to believe it is offered advantages so overwhelming as to compensate for no longer having the right to enter European markets without friction. This is a central point, and one which is not made enough. It is indeed true that a different model would be required. Michael Gove may pretend that we should leave Europe to have tougher Environmental Protection but who seriously believes the problem with Europe is that it’s too weak on regulation of the environment. This is less persuasive to anyone who understands these issues. Whilst the EU is often held up as a bastion of high standards (which I don’t argue against), this is often at the expense of the perception Britain’s own standards, standards which often match and exceed those of the EU’s. Britain has oft been painted in this debate as being somehow backwards on these issues, but on the environment, animal welfare, health and safety, British standards are world renowned and internationally recognised. It seems a shame to do down our country on these grounds. Boris Johnson’s one specific grievance in his resignation letter – which in any event turned out to be mistaken – was the effect of European truck regulation on female cyclists, a frankly fatuous basis for altering the entire geo-political and economic future of the nation. I must have missed this. But it does indeed sound fatuous. Go figure. All of this is patently a ruse to conceal their real beef with Europe: its political culture which stresses the social as well as the economic and where regulation interferes with the freedom of the market. Their ‘Clean Break’ Brexit means not only a new relationship between Britain and Europe but a new relationship between Britain and itself. It is not anti globalisation or anti immigration. On the contrary, it sees Britain as a global player, but free to make its own decisions without the constraints of the Single Market and Customs Union. Unlike others, I don’t regard this vision as dystopian, cruel or necessarily unworkable. If Britain were prepared to follow the logic of it through to its ultimate realisation, it is at least a version of our future worth debating, though one I would profoundly disagree with as, I suspect, would the majority of British people. Bravo, Mr. Blair. Finally, somebody willing to have an actual conversation with the opposing side. He disagrees, but understands it. Take note, Remainers – this is how to talk to Leavers. This is one of two, maybe three pieces by Remainers over the last few years (and I’ve read countless) that has encouraged me to engage and given me cause to doubt. Not being called a racist within the first 5 paragraphs of a Remain piece is remarkably refreshing. The problem is this vision was sold, in the context of Brexit, as short term painless and with substantial immediate gains like extra money for the NHS, and the most appealing element for many of the Brexit voters especially in the north of England was that Brexit would slash immigration and put a brake on globalisation. Agreed, it was a silly basis on which to run the campaign. This was one of the reasons I paid almost no attention to the official campaigns. Frankly, anyone who believed that £350mil to the NHS pledge gets what they get. The focus on immigration was handled badly and distastefully (admitted to by Mr. Gove just today) and there just isn’t any stopping globalisation (depending on your definition). What has now become apparent is that, for sure, short term and this may mean a period of several years, this was a false prospectus. In the near future a ‘Clean Break Brexit’ involves economic disruption, the immediate result is a £40bn bill not a £350m a week NHS boost, we need most of the European migrants, and a Hard Border in Ireland poses risks both to the UK and the peace process. As this reality has dawned, so the Government has tried to navigate its way through the Dilemma. I’m not sure it’s that the reality has dawned, these issues were discussed at length before the result and were obviously accepted as a risk worth taking by the 52%. More, I think it’s that people who weren’t in that camp now run the show and weren’t as prepared for them as much as those who believed in the whole enterprise would have been. The Dilemma is simply expressed: either we stay close to Europe after Brexit to minimise the economic cost, in which case we will be obliged to continue to abide by Europe’s rules; or we do a Clean Break Brexit in which case we will suffer substantial economic pain. The first is a Brexit which leads to the question: what’s the point, since we will abide by rules over which we have lost our say, a somewhat weird way of ‘taking back control’. The second is a Brexit which leads to the question: what’s the price? This is the dilemma, well summarised. For two years the Government has tried to pretend that we could have our cake and eat it: that Europe would somehow change the rules of the Single Market, which we helped shape, and allow us frictionless trade with freedom to diverge where we want to. This is and always was a non-starter. Very true. One of the reasons triggering Article 50, not preparing for a no deal situation and letting a Remainer run the show were all fatal decisions. The Chequers Cabinet summit and the White Paper were the first serious attempt to choose and resolve the Dilemma. Both documents are drafted with exquisite disingenuousness. But stripped of their verbal camouflage, they come down effectively on the side of staying close to Europe whilst trying to pretend the opposite. We are to have a common rule book with Europe for goods and agri-food, including the rules already agreed in the Single Market. This means we abide by Europe’s rules. Parliament can choose to refuse further rules but this will have ‘consequences’. This is supposed to stress our Parliamentary sovereignty. But the reality is the consequence of refusal would be exit from the common rule book area so it’s never going to happen. And of course, Parliament is sovereign. It always is. We choose to be in the Single Market now. We can choose to exit it now. But in practice, under this proposal, we are staying in the Single Market for goods, whilst losing our voice in it. Likewise, with the so-called ‘Customs Partnership’. This is effectively the Customs Union just renamed, with the possibility at some later time of getting agreement to some as yet undiscovered technological facilitation of trade which would allow us to have different tariffs on goods. This is pie in the sky. In any event until the time the pie miraculously appears on earth, it will be impossible to do trade deals elsewhere, as President Trump has just confirmed. In the meantime, of course, Europe can carry on doing such deals, but we will have no say over them, though we will be bound by them. Again, true. How does Theresa May not see this when everyone else does? Does she think she’s pulling the wool over our eyes? As for freedom of movement, this is to be replaced by a new ‘Labour Mobility Framework.’ This will give a special preference for European workers. It is the Government’s recognition that without such workers being able to come easily to Britain, key sectors of the economy will suffer. The practical reality is that the difference between current freedom of movement and this new framework will be miniscule because for economic reasons it must be. Also, there is no way Europe would ever agree to this partial acceptance of the Single Market, unless freedom of movement was, in essence, retained. Another way in which Mrs. May attempts to convince us she is ‘delivering’ when she is in fact doing nothing of the kind. I’m put in mind of a sailor who unhooks the moorings of his ship, only to hold on desperately to the dock with his hands. Meanwhile, we will try to negotiate our way back into a slew of European Agencies where we are now as of right. Going through each section of the White Paper, at every turn the absurdity becomes more manifest. Every page details why it is so important we stay in cooperation with Europe whilst trying to invent new forms of partnership which can be presented as consistent with leaving Europe. Indeed, the Paper proposes even closer cooperation with Europe in defence and data protection, as if Brexit were necessary for such enhanced partnership. The one area excluded is that of workers’ rights, with no commitment to retaining the benefits of the European Social Charter. Finally, we come to what, with delicious irony, is titled ‘Fishing Opportunities’, under which we agree to negotiate a new fishing framework with the EU, which looks a lot like the old one. The intent behind this, at least on the part of the Prime Minister, may come from a good place, but the result is an ‘Inbetweener’ half in/half out mess. As with everything else. This is because she fundamentally doesn’t believe in it. A genuine ‘soft’ Brexit would obviously be less damaging than a Hard Brexit, though it would highlight the ‘what’s the point’ nature of this choice. But this Brexit is just mush. It is not making the best of a bad job. It is the worst of both worlds. This is where True Remainers and True Leavers make common cause. We do indeed make common cause. Everybody sees it. It is plain and out there for all to gaze upon. It will never work. But I am afraid this argument is fatally flawed. The practical upshot of this proposal is to tie us to Europe over large parts of economic life, without a say in its rules. This is intrinsically a dismal outcome which reduces British influence for no or negligible gain. It is not an ‘honouring’ of the Brexit vote. It will disillusion large numbers of Leavers, whilst being dismissed by Remainers, except those in the Conservative Party who see this as a way through their internal schism. A point often forgotten – never mind an economic crisis, a democratic crisis will be much worse and much harder to contain. The Europeans will not accept it unless clarified in a way which will expose the Dilemma once again. The likelihood is that they will consider cherry-picking between different parts of the Single Market wrong in principle and hard to do in practice, given the overlap between services and goods. But suppose they do accept distinguishing between the Single Market for goods and services. This will only be on the basis that Britain clearly applies those rules for goods trade, adjudicated by the ECJ, and probably with what are called flanking arrangements for those parts of the services sector intimately bound up with the manufacturing supply chain. This will never be palatable to the Brexiteers who sit in the Cabinet. So the argument will continue. Even if the Brexiteers or some of them swallow such an agreement with Europe, they will only do so, in order to drag the country the other side of March 2019, and then they will re-ignite the debate when it is then too late to stop Brexit and when our bargaining position will be very weak. Nobody wants to reopen this wound once it is closed. Even Jacob Rees-Mogg has said as much. By excluding services, the Government is prepared to do significant and possibly irreparable damage to the UK service sector which is the bulk of our economy, and where unlike the goods sector, we presently have a large surplus in European trade. Particularly for the financial service and tech sectors, where Britain is dominant in Europe, we now know from those active in those sectors that exclusion from the Single Market is going to result in job losses and economic cost which will impact output and revenue considerably. In other words, this is a bad deal. More important, it will not be accepted as fulfilling the mandate of June 2016 and we know that because many of the leading Brexit proponents are saying it. I’m certainly saying that. And there’s no getting around this fact. May might try to sell this on the technical point, but nobody wins anything in politics on a technical point. And there will be no majority in Parliament for it, or for ‘Clean Break Brexit’ or possibly for any version of Brexit or indeed for staying. And herein lies the lesson – referendums are constitutionally idiotic. If this teaches us nothing else, it ought to teach us that referendums do not work in a Parliamentary system without a fundamental restructuring. Yes, we’re stuck. That feels to me like a good way to learn a hard lesson. In any rational world, and I understand that is a big caveat in today’s politics, this would go back to the people for resolution. It would not be a re-run of the 2016 referendum. Two major things have changed since then. Our quantum of knowledge about the issue and particularly about the consequences of leaving the Single Market and Customs Union is vastly enlarged. And there is fundamental disagreement about what Brexit means between supporters of Brexit. The question may be complicated because it really involves three choices: Clean Break, ‘soft’ or stay. But the complexity is not insuperable. If it’s three way, does 34% win it? So 66% of people could vote against the option we end up taking…but we had a bigger mandate last time round…and on and on it will go. For the Conservative Party it avoids owning a botched Brexit. Well they made it, they can own it. For the Labour Party it escapes constructive ambiguity becoming destructive indecision. That’s no way for a major party to behave. For Parliament it may be the only way through. Maybe it is. But it seems like a major cop out to resort to this when they created the problem for themselves. I elect representatives to sort this sort of stuff out for me – stop asking me to do your job, you get paid enough (well…maybe…) to do it on my behalf. I fear any talk of another referendum. I have no desire to have another damaging fallout with friends. It would also have that chilling effect of ‘the EU makes you vote until you give the right answer’ which is rightly pointed out over and over again. And would this one be definitive? Or do we go again? What if a new government gets elected and decides against it? It’s too messy and anti-democratic. We have a Parliament for a reason – if you want constant referendums, dissolve the blasted thing. I’m sick of politicians constantly reverting to this blunt tool to avoid making decisions they don’t want to make. The offering of referendums is the modern day independent inquiry – a tool to kick a subject into the long grass. Consecutive PMs have now, to their eternal shame, failed to prepare this country for a no deal, leaving negotiators powerless and rudderless. Cameron refused to allow it and May leads a shambles. The dereliction of duty in these two cases is appalling and shameful to the office they have held. I voted Leave and would do the same today. I have not changed my mind. But what people forget when they parrot the old ‘biggest vote in history’ line is that the second biggest vote ever was the vote to Remain. If it were up to me, we’d just leave the whole thing and get on with it. But it isn’t, and there is currently no majority for any position. I’m up for a discussion with anyone who wants to persuade me. Mr. Blair, for all his obvious faults, made a good start.